Either changed their name or bought out Durell, because for a time they were known as Durell Martech, they did mostly sports games using licences. Compete in lots of events, including Swimming, with the legendary Brian Jacks (who was he exactly!) the graphics are ok, but nothing special, and basically it is just another keyboard basher. Worth a play if you like that sort of thing! A helicopter simulation, this is quite a nifty little one with a 3d view and some good attention to detail. The graphics are nicely done and it plays well. The only problem is the size of the play window. Most of the screen is taken up with the instrumentation, and the actual view is quite small. This is a good fun to play game in which you must get Eddie over increasing amounts of barrels, cars or buses. It is extremely hard, but really good fun and I dare say it is original! The graphics are good and very fluid, and the effects are great, especially when you fall off the bike!! You control Geoff Capes, and have to lift progressively heavier weights, by tapping on the right keys. It is a good game to play for a while - but then your fingers start hurting! The graphics are low-res, and well drawn, and there are a few good animations! A graphical adventure game, in which you take the part of a Robin Hood style hero, shooting the baddies with a box and arrow. You basically have to explore and find out what to do, it is quite a polished game, but there are a few bugs with the graphics. Overall though, it is definitly good if you like adventure games. A poor clone of Manic Miner, this game is much duller and generally worse than the classic original. The graphics are fine, although the hollow sprites do not look too hot. 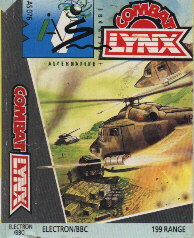 There is no way I could say this was better than Manic Miner, it just isn't really worth playing! 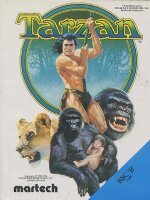 The best Tarzan game on the Beeb, this is a high-res action adventure game, you are the famous movie character, and have to rescue Jane, but can you get past all the animals of the jungle without dying? The graphics are great, and it is a tough challenge for even the most hardened adventurer. 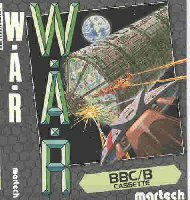 An ok Shoot-em-up, the main downer about this game is the fact that you actually play the game only in a tiny little window, whilst the rest of the screen is filled with a nice detailed graphical background. The gameplay is annoying because the area is so small that you cannot always pick out the tiny things which you have to avoid, so you always think that you lose a life for no reason!